Wat is dit voor site? Wij zoeken de goedkoopste boeken op internet. American Ulyssesvonden we het goedkoopst op Bol.com voor €26.99. We hebben gezocht in nieuwe en tweedehands boeken. Rechtsonderaan de pagina kan je het boek direct bestellen	via Bol	.com. In his time, Ulysses S. Grant was routinely grouped with George Washington and Abraham Lincoln in the "Trinity of Great American Leaders." But the battlefield commander–turned–commander-in-chief fell out of favor in the twentieth century. In American Ulysses, Ronald C. White argues that we need to once more revise our estimates of him in the twenty-first. Based on seven years of research with primary documents—some of them never examined by previous Grant scholars—this is destined to become the Grant biography of our time. White, a biographer exceptionally skilled at writing momentous history from the inside out, shows Grant to be a generous, curious, introspective man and leader—a willing delegator with a natural gift for managing the rampaging egos of his fellow officers. His wife, Julia Dent Grant, long marginalized in the historic record, emerges in her own right as a spirited and influential partner. Grant was not only a brilliant general but also a passionate defender of equal rights in post-Civil War America. After winning election to the White House in 1868, he used the power of the federal government to battle the Ku Klux Klan. He was the first president to state that the government's policy toward American Indians was immoral, and the first ex-president to embark on a world tour, and he cemented his reputation for courage by racing against death to complete his Personal Memoirs. Published by Mark Twain, it is widely considered to be the greatest autobiography by an American leader, but its place in Grant's life story has never been fully explored—until now. 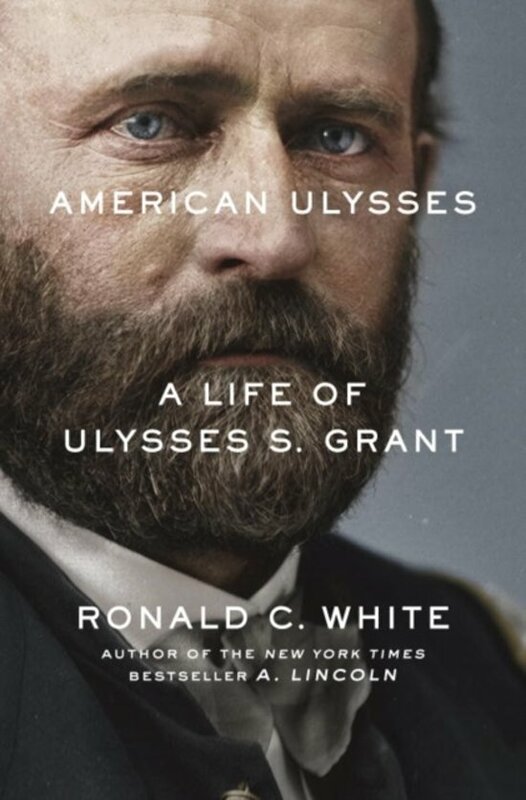 One of those rare books that successfully recast our impression of an iconic historical figure, American Ulysses gives us a finely honed, three-dimensional portrait of Grant the man—husband, father, leader, writer—that should set the standard by which all future biographies of him will be measured.